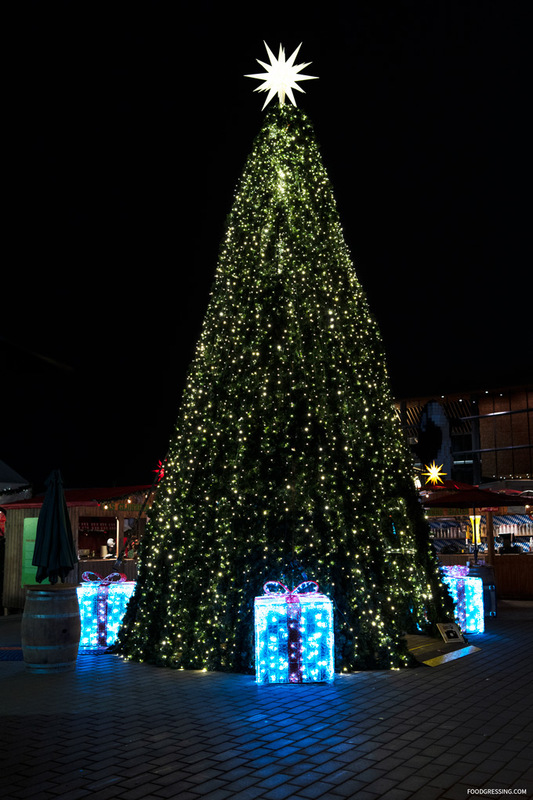 Vancouver Christmas Market, the city’s signature yuletide celebration, is now on until December 24, 2018 with extended hours from 11:30 am to 9:30 pm. This year’s market features more than 80 huts stuffed with sweets, treats, and treasures, coupled with an increased lineup of large-scale activities and live entertainment. 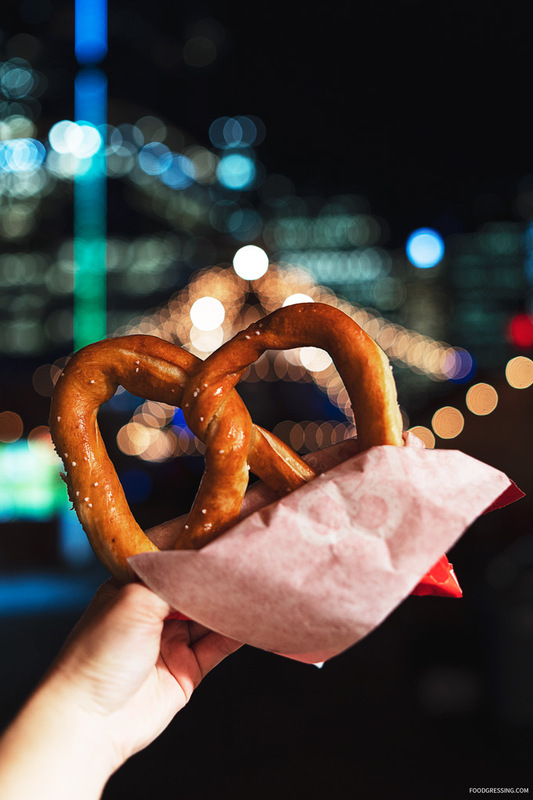 Attracting a record number of more than 220,000 visitors last season, the market remains one of Vancouver’s beloved holiday events in which to savour the abundance of authentic German-inspired sights, sounds, and flavours. I was invited to a media preview. Here are a few highlights. 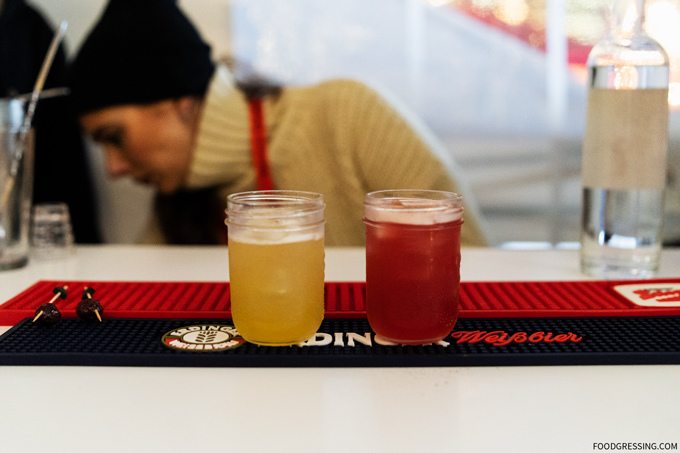 Guests will also delight in gathering in the market’s sleek new WunderBAR, an 840 square foot space offering an exclusive VIP experience in a gorgeous, heated wintry setting. This brand new addition to the market has room for 40 people, providing visitors with the perfect place to host corporate events or Christmas parties with family or friends. 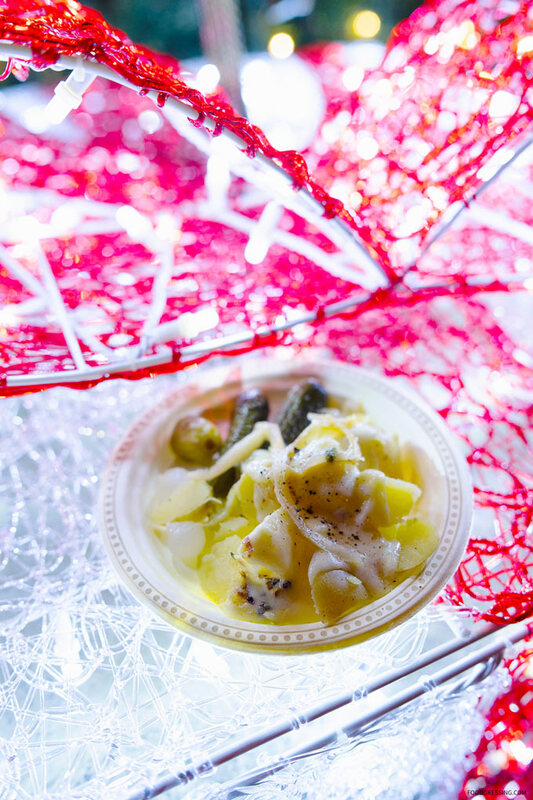 Guests will be able to book hour-long tastings to indulge in Christmas cocktails or a mug of hot Feuerzangenbowle (spiced mulled wine) prepared by the market’s merry mixologists, and snack on a fine assortment of charcuterie or delicious German desserts in a twinkling winter oasis. 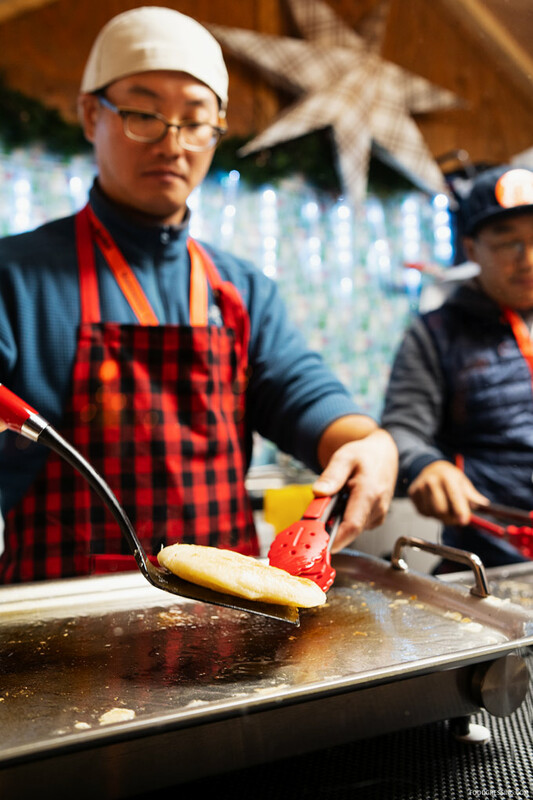 New at the market this year is Mr. Hotcakes’ serving up syrup-filled pancakes decorated with whipped cream and drizzled with maple syrup for maximum enjoyment. 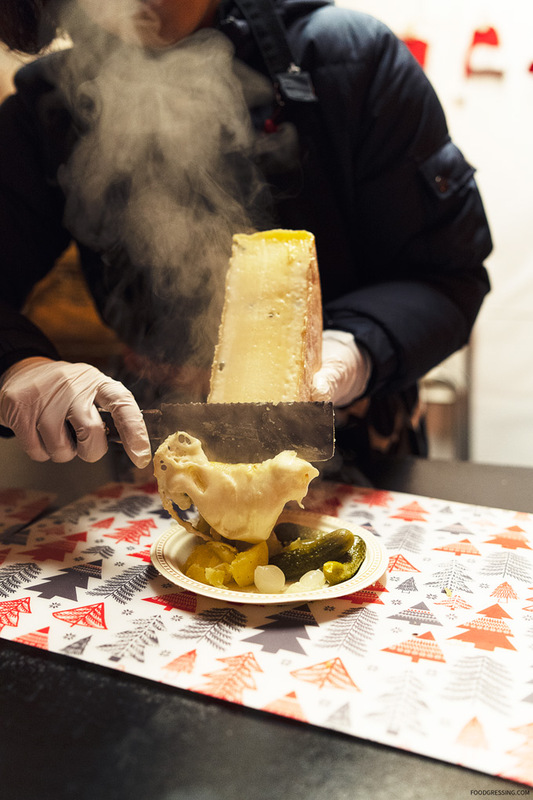 Cheese Me Raclette features items all served with freshly melted cheese scraped from the wheel. Mr. Pretzels is a pioneering brand of aromatic soft pretzels baked in a broad variety of flavours. Originating in Puerto Rico in 1994, their delicious hand-rolled soft pretzels are sold in over 300 stores in close to 20 countries in Europe, Latin America, the Middle East, the Caribbean and North America. Their pretzel dough is made with whole wheat, low in fat and contains no preservatives. They are also prepared on the spot, hand-rolled in front of their guests for optimal freshness and taste. Freybe Brat Haus is the preferred sausage and bratwurst vendor of the Vancouver Christmas Market. 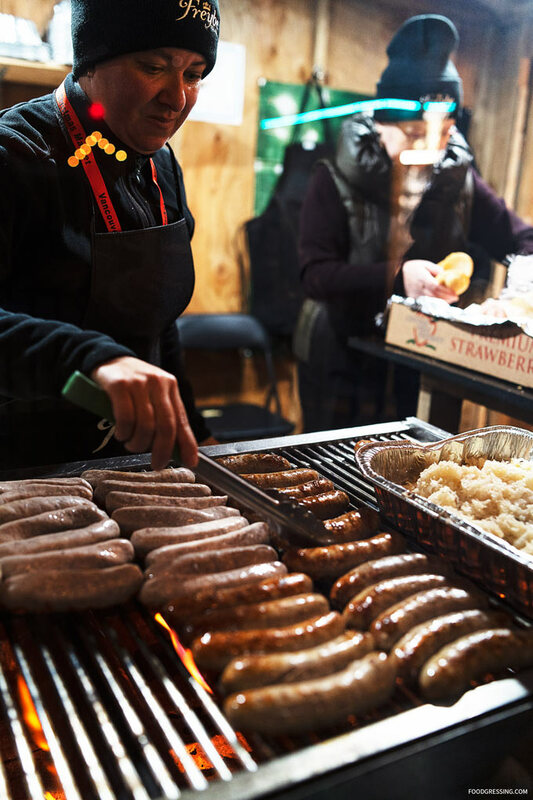 In addition to their bratwurst, you will find a wide range of traditional sausages, as well as delectable dried pepperonis and savoury landjaegers. 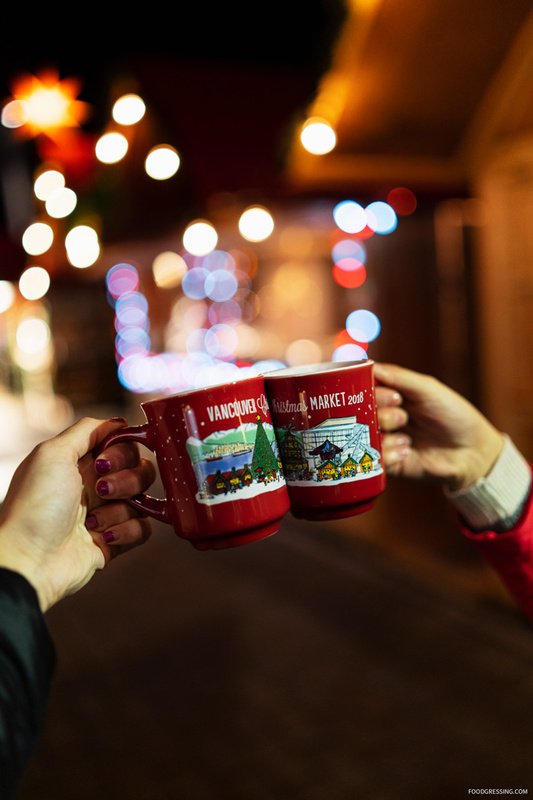 Glühwein is popular in German-speaking countries and the region of Alsace in France. It is the traditional beverage offered during the Christmas holidays. This warming classic is prepared from red wine from The View Winery, heated and spiced with cinnamon sticks, vanilla pods, cloves, citrus and sugar. Fruit wines such as cherry wine and cider are used instead of grape wine, traditionally used in Germany. Feuerzangenbowle is a traditional German alcoholic drink whereby a rum-soaked sugarcone is set on fire and drips into mulled wine. It is often part of a Christmas or New Year’s Eve tradition. The name translates literally to fire-tongs punch. West Coast Wild Foods is one of Canada’s leading wild mushroom companies. They focus exclusively on nature’s most exquisite wild foods, bringing wild mushrooms such as Chanterelle, Morel, Porcini, Pine and many others directly from the forests of North America. They will have a full selection of fresh as well as dried mushrooms on hand every day, and will also feature Candy Cap Mushroom Macaroons, local pickled fiddleheads, fresh truffle, Chaga Tea/Coffee Blend, and Wild Berry Jams. 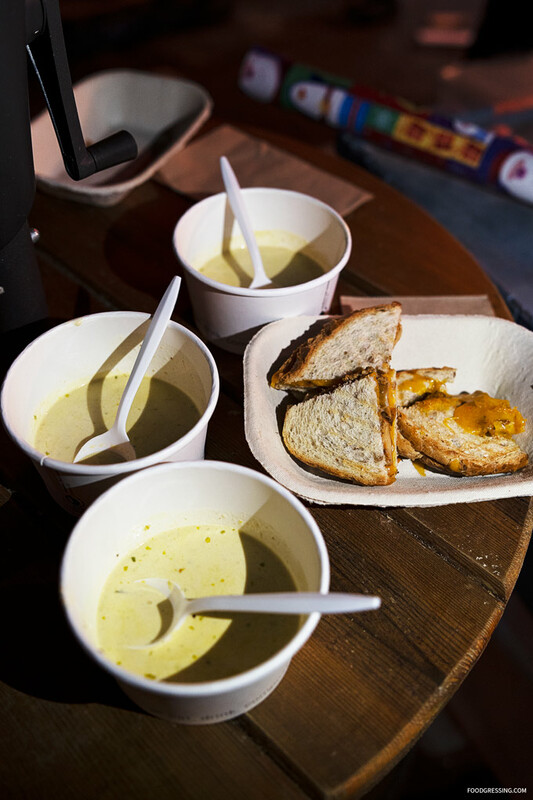 They will also sell a variety of Untamed Feast products such as Creamy Wild Mushroom Soup, Porcini Risotto, Thai Morel Coconut Rice, Smoked Chanterelle Arroz, and the famous Wild Mushroom Gravy/Sauce mix. Purchase online to enjoy an abundance of savings including discounted pricing. A Fast Pass is an upgrade available exclusively online that can be added on to a regular entry ticket for $5 per person. This offers guests the option to enter through an express line at the entrance and the carousel. A Fast Pass also includes a 2018 Season Pass and can be used throughout the entire season!